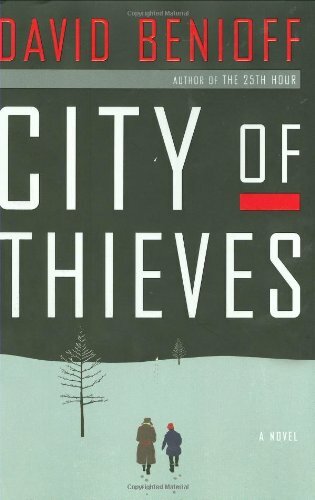 This is quite a good novel set in Moscow in World War Two and told through the eyes of two young soldiers. We know the ending from page one since the novel is ostensibly a story of a soldier’s life in the Great Patriotic War being told by the participant to his grandson decades later. This is an unusual plot device and often doesn’t work well but it works quite well in this case. Not only is this a good story but just as important to me, Mr. Benioff is an excellent writer. During World War Two, Private Andy Rooney, was a reporter for the US Army newspaper “Stars and Stripes,” – a newspaper for GIs written by GIs. 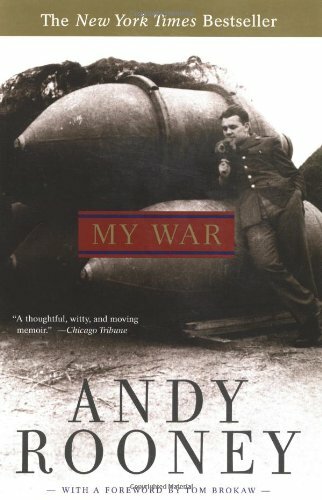 My War is Rooney’s memoir of that time and it is well worth reading. It’s funny, bittersweet, and occasionally very sad. He traveled all over, saw a lot, and interviewed countless people. Rooney, who later became famous as a CBS News correspondent, is still alive at age 92. He is a wonderful story teller and he can spin a yarn like no one else. He is also one of the best writers of the English language we still have. His trademark humor comes across on almost every page of the book yet this memoir is also written with a brutal personal honesty. After a drunken farewell party on the train platform in Berlin, writes the author, friends “poured me into the train and it left.” And lucky for him because the next morning when the train crossed into Switzerland, it was 7 December 1941. Europe was only a few hours away from hearing the news of the Japanese sneak attack on Pearl Harbor. 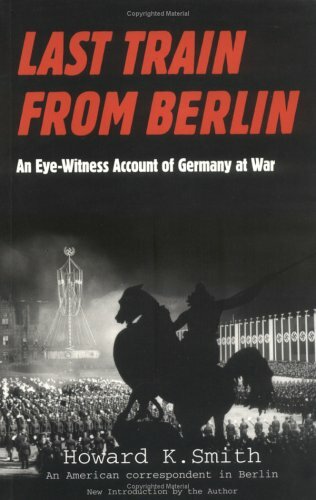 This book is special for two reasons: Smith spent the two years before the US was in the war in Berlin. He was a keen observer and noted hundreds of small details which give you the sense of how horrible life was in the Reich. Just as important, Smith wrote this book as soon as he got out of Nazi Germany. He had no foresight into the future. That gives the book a sense of immediacy even after all these years.